A permanent community centre is being established in park in 2019. Until that time we typically meet at The Gurdwara, Dudley Road West Tividale, Oldbury B69 2PJ. 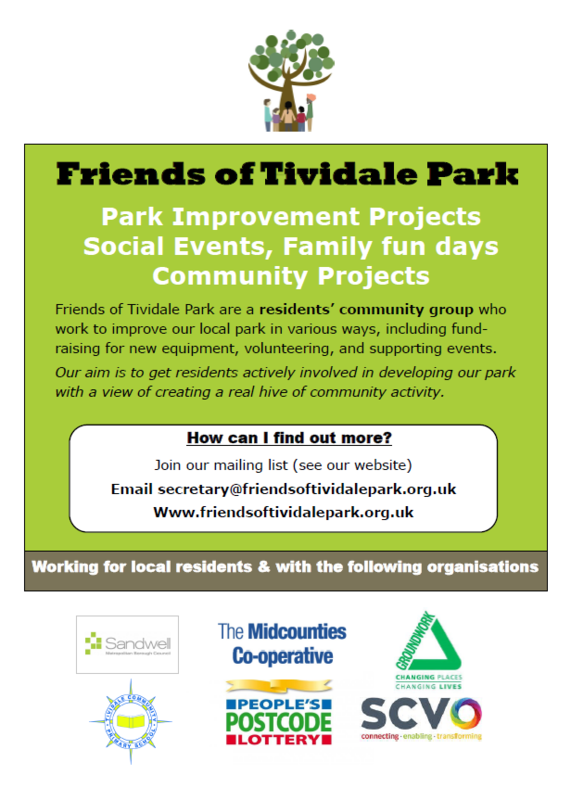 Over the next year we will be looking at addressing the wish list generated by visitors to our marquee at Tividale Parks Gala Black Country Festival on July 7th. We are also looking at applying for more grants such as Bags for Life, and considering the steps needed to go for Green Flag award. We received grants for £2250 and items have been ordered for receipt in September and October. We are also looking at installing new equipment (in consultation with Sandwell Council) and look forward to Cherry Blossom trees being planted in the autumn or winter.